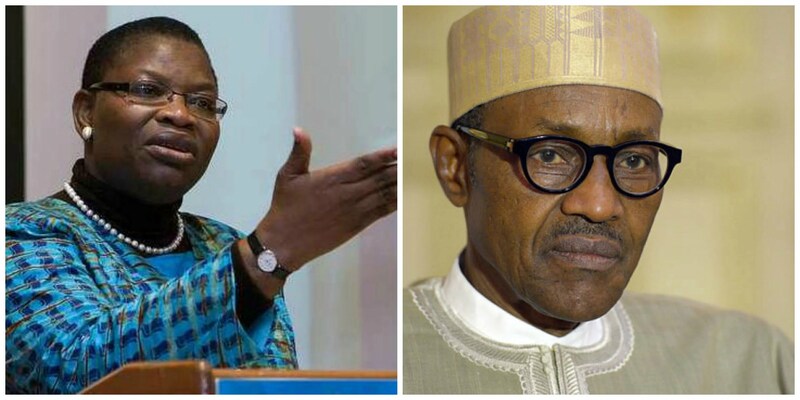 he Presidential candidate of the Allied Congress Party of Nigeria, ACPN, Dr. Oby Ezekwesili, has alleged that President Muhammadu Buhari was not sincere going by what she described as the attitude of the president towards the forthcoming general elections. Ezekwesili identified the non-signing of the 2018 electoral amendment bill into law as well as the alleged family relationship of the president with one of the top staff member of the countryâ€™s electoral umpire as some factors that might affect the credibility of the election. Her words, â€œI believe the Nigerian people must be on the alert, I do not trust this APC government of President Muhammadu Buhari. â€œHe (Buhari) has not shown himself to be trustworthy with the fact that he refused to sign into law, the electoral amendment bill of 2018.
â€œHe should have taken that bill and signed it to law. If it was signed into law, it means we can believe in the electoral integrity of our elections and electoral umpires. â€œToday, he (Buhari) has basically weakened the capacity of INEC and avoids them doing the thing that they ought to do according to law. â€œSo, I do not believe in peace accord that he signed and if it was in good faith. I donâ€™ t trust that the fact that Amina Zakari who is a daughter of a man that married to the sister of the President Buhari being part of the conduct of 2019 election should be trusted. â€œThis democracy, people died and were also maimed fighting for this democracy. This democracy is very greater than President Buhari and his administration. This democracy will survive Buhari. â€œThe Nigeria people are saying both the APC and PDP government have failed and they must go, so that we build a new nation. â€œNigerians are fed up with the failures of governance, which has become too costly for Nigerians. Just look at us, we are now the world capital of poverty. â€œWe have overtaken India which is even seven times of our population as a country wit the largest number poor people. â€œThere are eighty-seven poor people in Nigeria, which is a country of less than two hundred million people. â€œIn India there are about 1.3 billion people and there are seventy -nine million people in extreme poverty and that is a shameful situation. â€œWe cannot allow it to continue. The more that bad governance is given to us by APC and PDP, the more that people drop into poverty. â€œIt is time for change of direction in our country and it is time for us too to take ourselves out of mediocrity and poor performance. â€œIt is time to become a country that is governed on the basis of knowledge and by someone who has character and competence and know the kind of policy that can grow a economy. â€œWe are growing at 1.8 percent and that is less than a percentage of our population at 2.8 percent. You know this is disastrous. â€œI am not running so that I would answer a title, I am running so that I will mobilise the Nigeria people to do things will be done differently. According to him, â€œItâ€™s time for us to give women the chance. God has lifted up Dr. Oby Ezekwesili to led Nigeria to the Promised Land. â€œShe has the required knowledge, experience and exposure, so she is the best among all the other presidential candidates,â€ he stated.